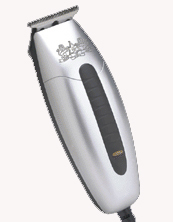 Shaping and Outlining Trimmer - Ideal for shaving, trimming and outlining. Ergonomic housing and soft grip for comfort. Includes long-lasting carbon steel T-blade and straight blade.